Start taking classes at Tuck Barre & Yoga and other studios! 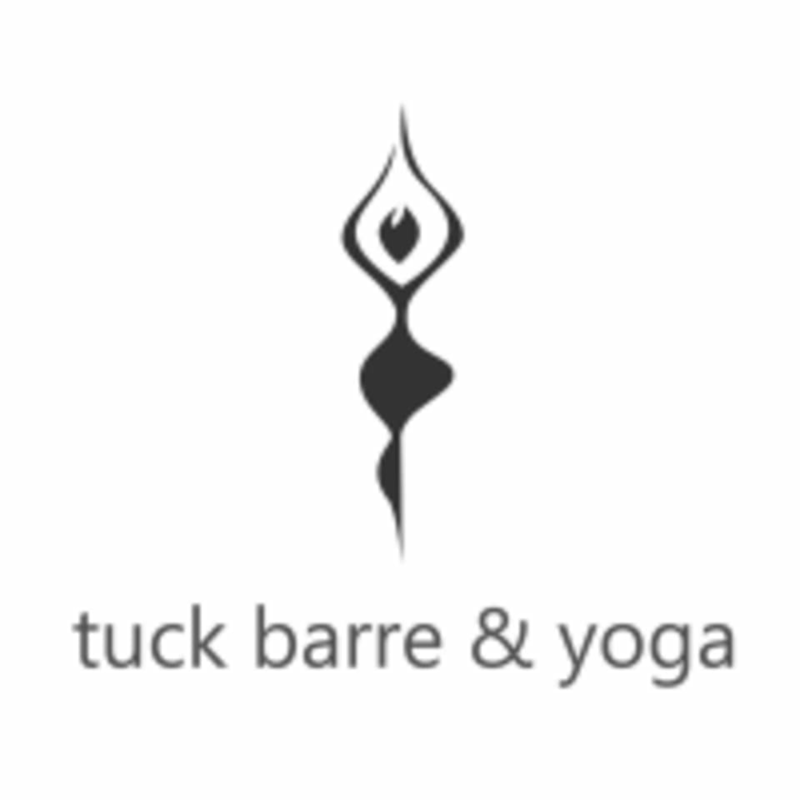 Tuck Barre & Yoga offers high quality barre and yoga classes in a comfortable setting! Tuck's barre classes are dynamic and challenging, although modifications are offered for beginners. No two classes are the same! Their yoga classes are alignment-focused vinyasa classes. Don't expect tons of sun salutations and chaturangas though - each class is different and will focus on different parts of the body. While you will move at the pace of your own breath, you won't get lost in the shuffle at Tuck. They focus on helping students build sustainable practices so teachers often break down poses that are confusing. They have created a supportive community where everyone feels welcome! Classes are more fun when everyone hoots and hollers! Barre students should bring barre socks, a small towel (if necessary) and a bottle of water to class. Filtered water is available at the studio. Bottled water is available for purchase ($1 and it's the honor system). Barre socks are available for purchase at the studio for $12. They provide mats and yoga props for all yoga classes, but feel free to bring your own mat if you have one! Tuck opens 10 minutes before class starts and locks the door when class begins. Please be on time! The Tuck Barre & Yoga Studio is located at 3400 Lancaster Avenue, Suite 6 in Philadelphia, PA, next to Insomnia Cookies. There is street parking available or a paid parking garage behind the building. Bike parking is available in front of the studio. Very accessible from the 34th and Market Street public transportation stops. I loved this class!! If you took a little mini trampoline class at another studio in Philadelphia and didn’t love it, come here. Very challenging, but fun and encouraging at the same time. The jumping was intense but super fun! The weight parts were hard (I sure that burn), as in most barre classes. Overall, Callie was great, and totally encouraged us to take breaks as needed. I feel exhausted but invigorated! Love this class. The teacher’s energy is so good and it’s usually a small-ish class so you don’t feel cramped. Super welcoming vibe at the studio and I feel like I get an amazing workout and an hour of pure freedom in my body. It’s a powerful experience. Great class! love the hands on correction! excellent workout and studio. the people here are so friendly. I've been to several of the big name barre studios, and this studio blows them out of the water. Callie is so skilled at teaching - pushes you in the best way.